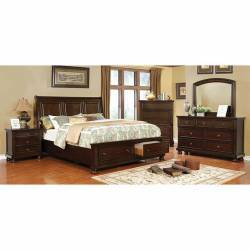 This bedroom set offers a touch of rustic flair with a contemporary twist to redefine your personal space. Perfect for amping up the elegance of any bedroom, the exquisite features of the solid wood and wood veneer framework is available in 3 different finishes that can easily accommodate any particular style. The platform bed comes with two drawers in the footboard for maximum storage space while the felt-lined top drawers and English dovetail construction provides a traditional touch to blend with any setting. 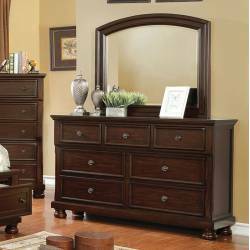 This bedroom set offers a touch of rustic flair with a contemporary twist to redefine your personal.. 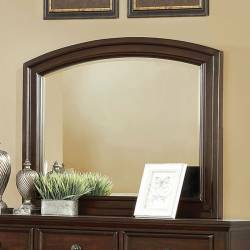 This mirror offers a touch of rustic flair with a contemporary twist to redefine your personal spac.. 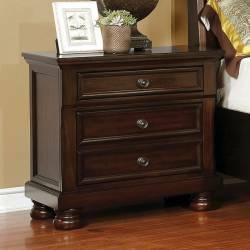 This night stand offers a touch of rustic flair with a contemporary twist to redefine your personal.. This chest offers a touch of rustic flair with a contemporary twist to redefine your personal space.. 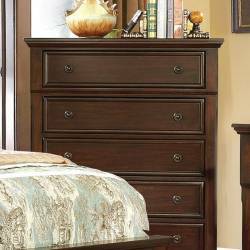 This dresser offers a touch of rustic flair with a contemporary twist to redefine your personal spa..